Coincidentally it is also the start of autumn. After working non-stop from April til now, I’m glad that I survived the madness that is festival season, and while I can’t wait for next year, I’m very thankful that I get time to rest up. 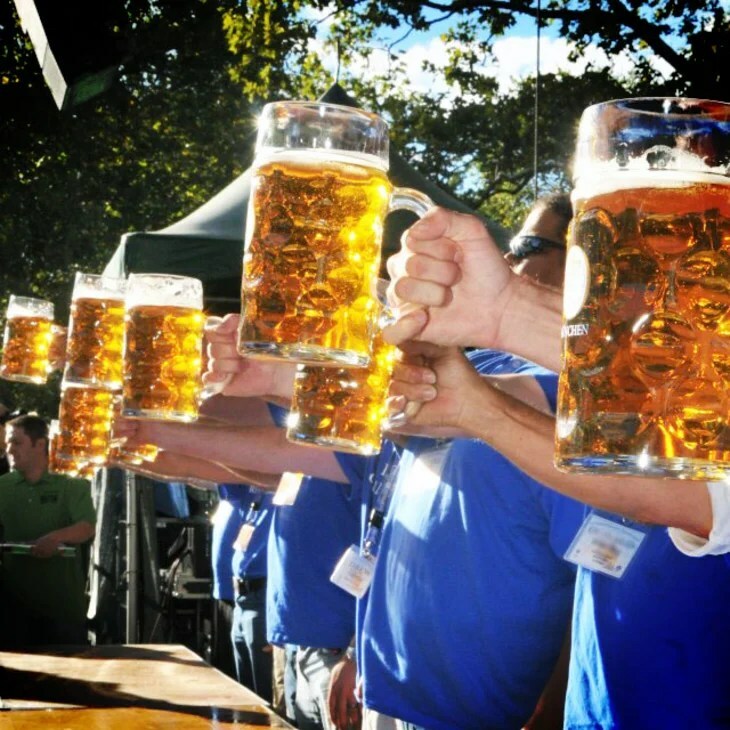 The last festival of the season is Fremont Oktoberfest, and thank god it’s last because it’s crazy nuts. The shift on Saturday was ridiculous. The most ridiculous day I’ve ever worked in all my time with The Tzar. Alternatively, Sunday was one of the slowest shifts I’d ever worked. But it was Dogtoberfest, so all the pooches made the day go by relatively fast – not to mention we had over 50 tokens to use up on cider and beer. After watching all weekend long men having beer holding competitions in the beer garden next door to us, we decided to have our own mini Tzar competition. The best time was 3 minutes 35 seconds, but apparently in the competition the day before someone held it out for 6 minutes. I don’t think any of us are good enough to enter the actual contest. Yet. Hands down, Oktoberfest and Tattoo Expo were the best festivals I worked – with Summer Meltdown being the best purely music festival that I worked. The people who were at all of those festivals were lovely, the atmosphere was fun, and the entertainment was great. Tattoo I got to ask people awkward questions about body parts and get away with it. Summer Meltdown was just a chill festival right in the forest with a river close by. 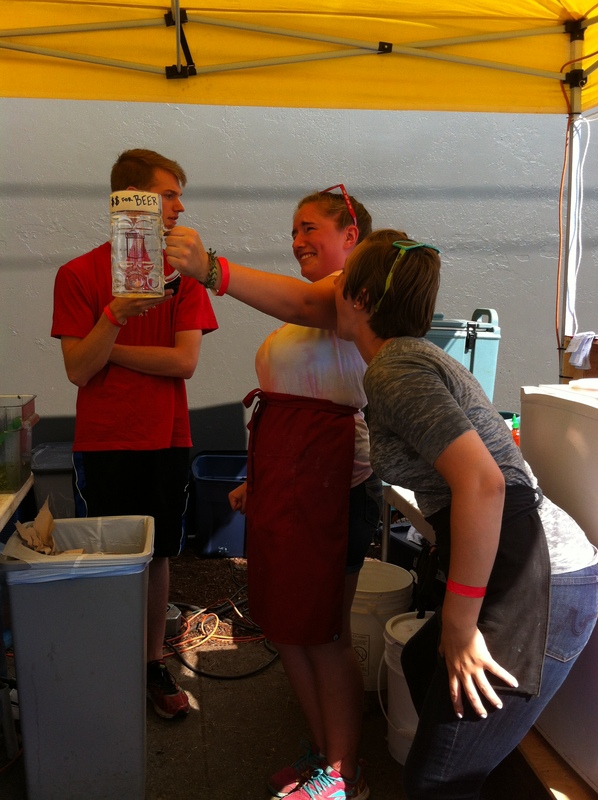 And Oktoberfest is a fun beer and cider event with people celebrating the end of summer. The worst festivals this year was Seattle Chivefest and Folklife. Chivefest should have been renamed Douche Fest, and while the music was good – the crowds there were not the kind of people to buy dumplings. It had awesome people watching, and we managed to find cool people to enjoy our dumplings. We also got tipped $24. Folklife is always a headache since we have Sasquatch going on at the same time, and catering gigs. The people who go there are frustrating and pushy. Lots of people ask for freebies, and while it happens at a lot of festivals, it happens in an abundance at Folklife and typically all day long rather than just at the end of the day. But overall, as much as I complain about Chive and Folklife, every festival we work is awesome. We started the season off by serving bacon onion relish covered dumplings at Beer and Bacon in Safeco Field (and won People’s Choice). 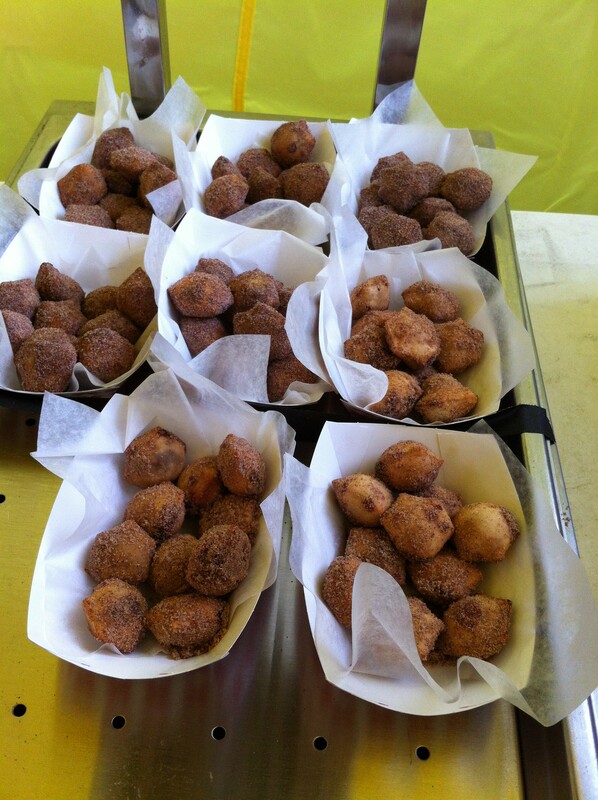 We served up deep fried dessert dumplings (cherry or nutella) at Folklife. 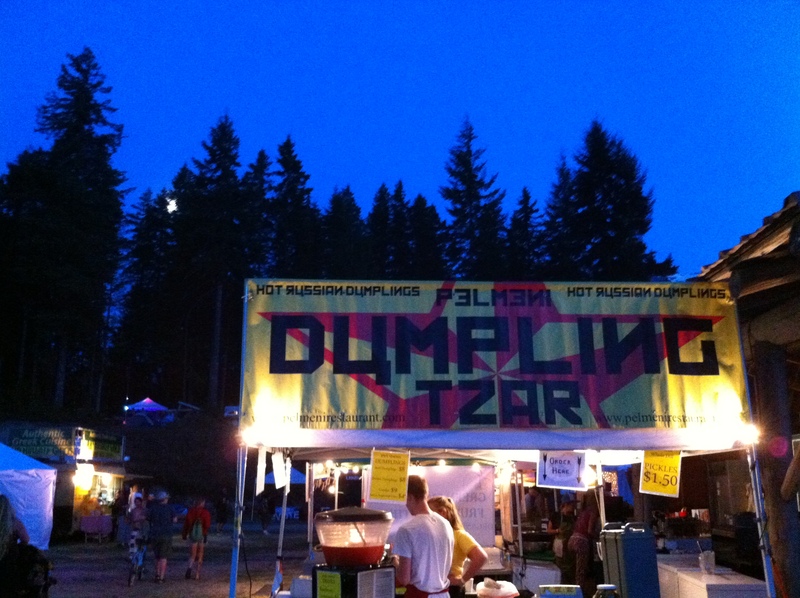 We served breakfast dumplings (regular dumplings with scrambled eggs and bacon on top) at Sasquatch, Paradiso, Timber!, and Summer Meltdown. 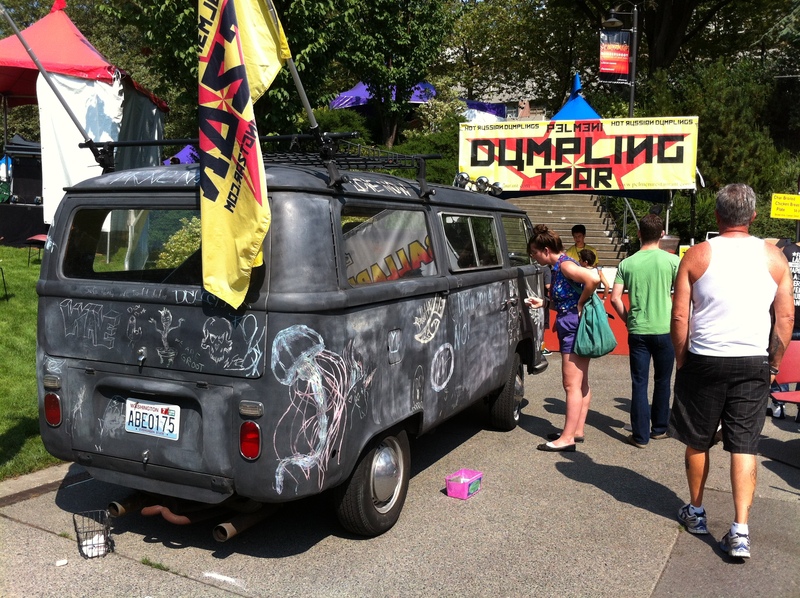 We displayed our art car at Fremont Fair and Tattoo Expo, and won Friendliest Execution during the fair. 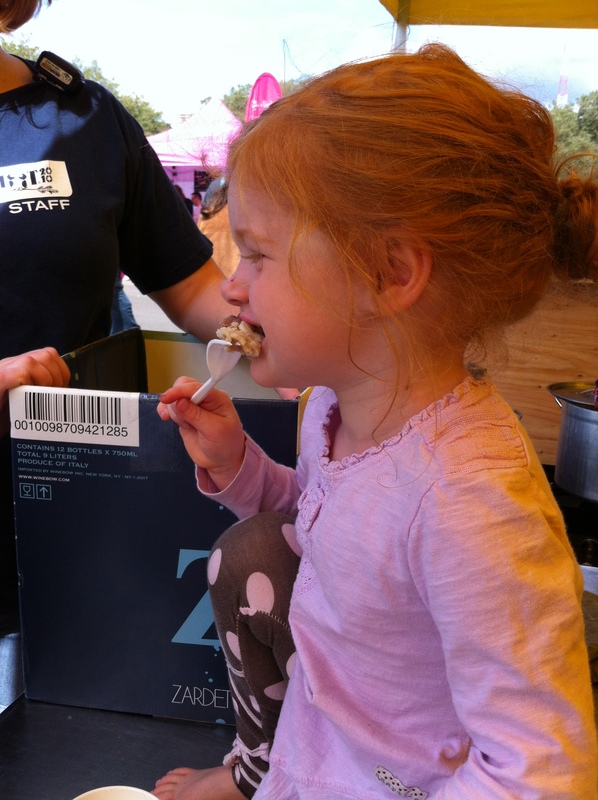 And we rocked out dumplings at Food Truck Rodeo, Bite of Seattle, Bumbershoot, ending with Oktoberfest. It’s been a great season, but I’m glad that it’s over! I can’t wait till next year – our mobile food truck will be up and running and you can bet it’ll be at some (but not all) of the festivals, which is super exciting.